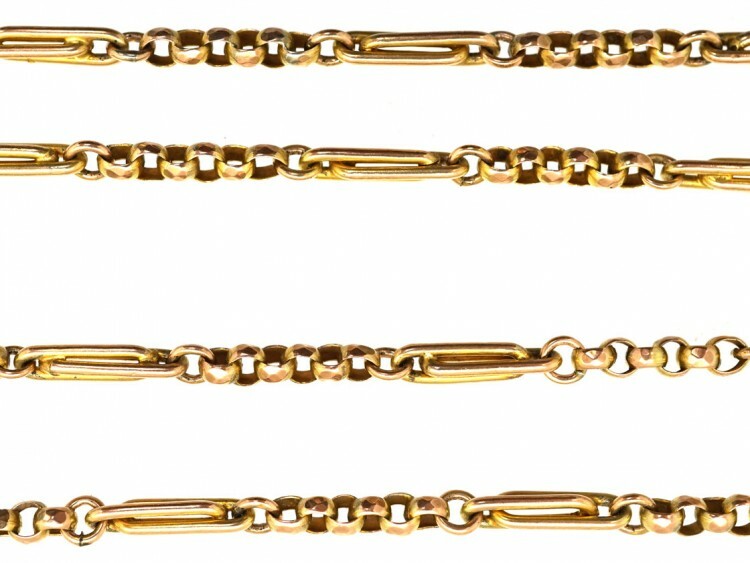 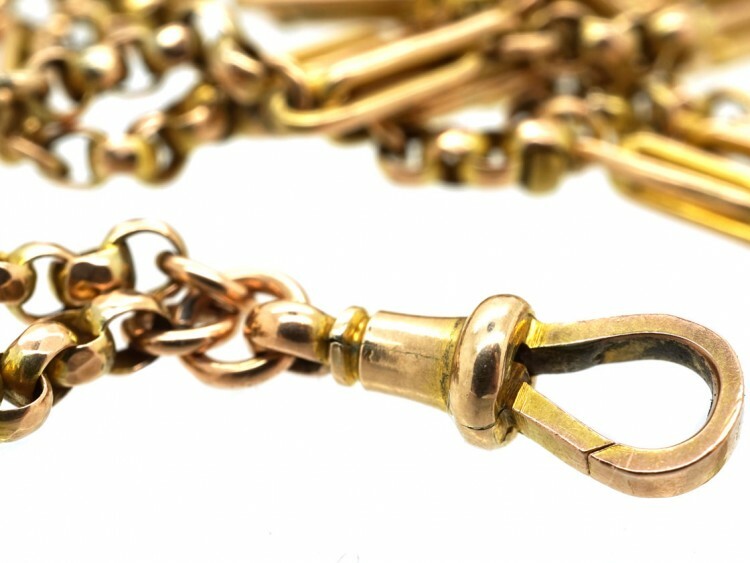 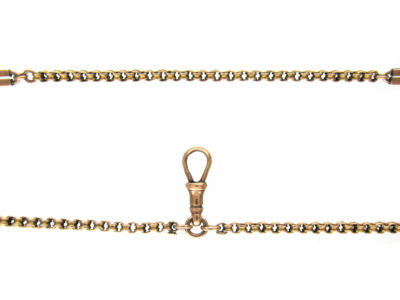 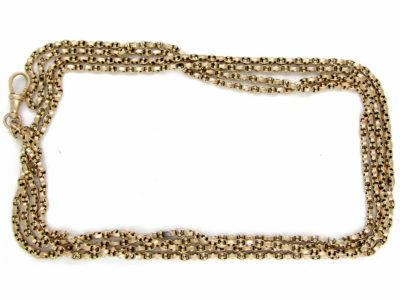 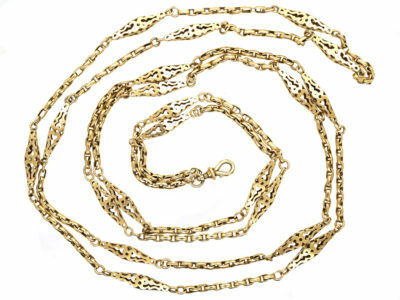 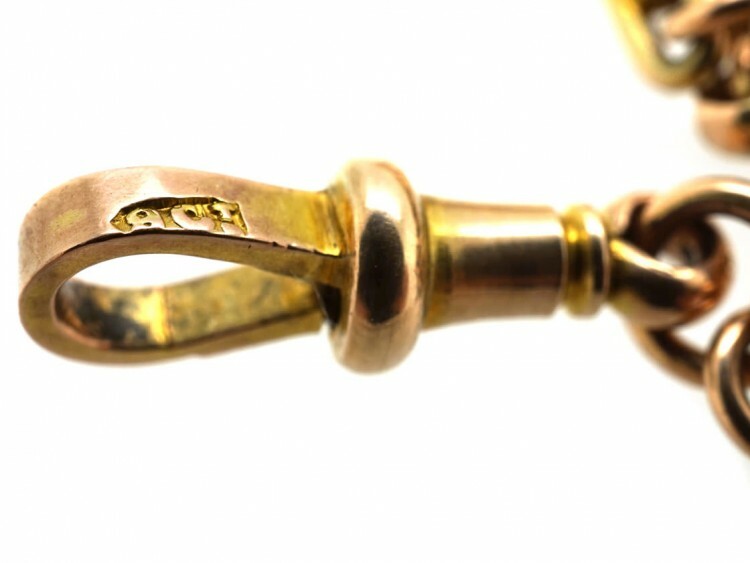 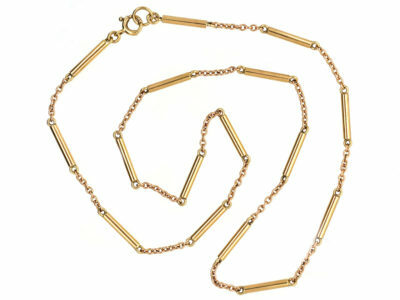 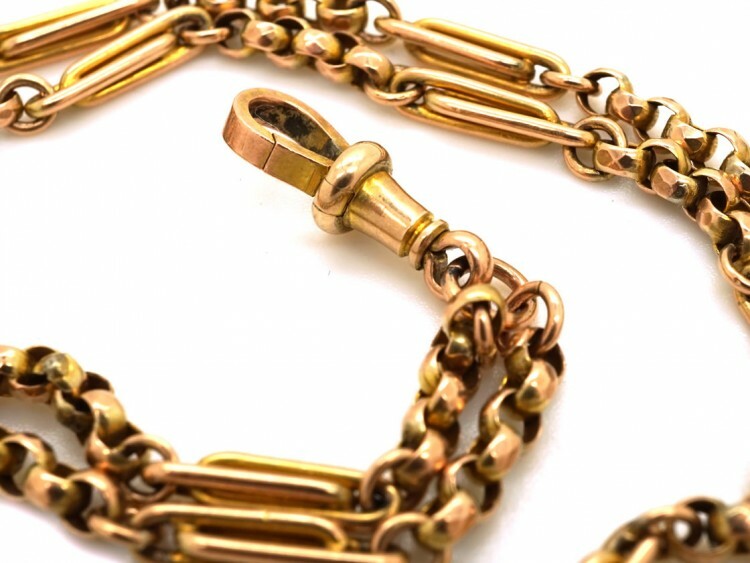 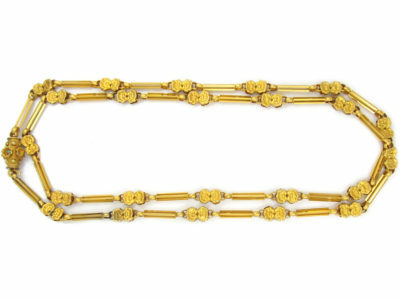 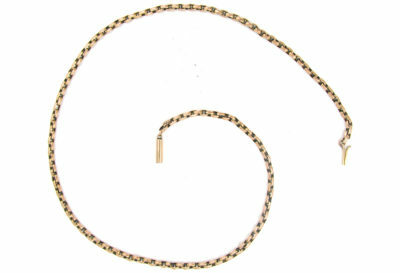 A wonderful and very long 9ct gold guard chain that can be worn twice or three times around the neck. 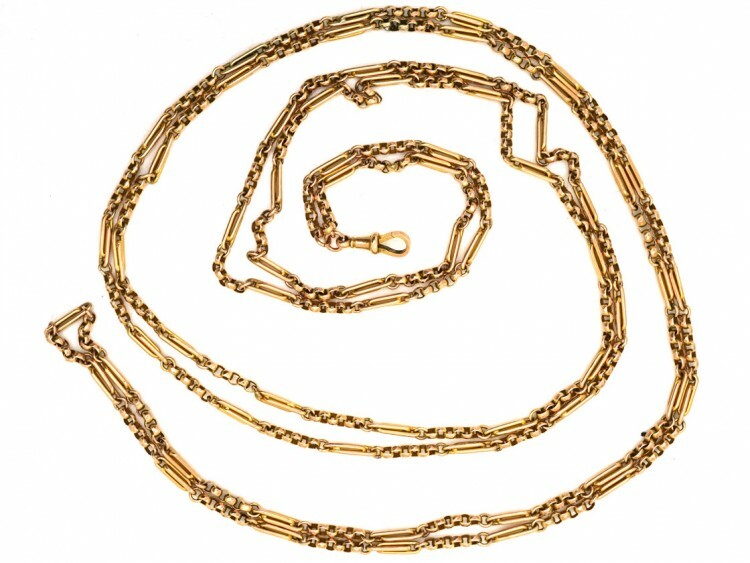 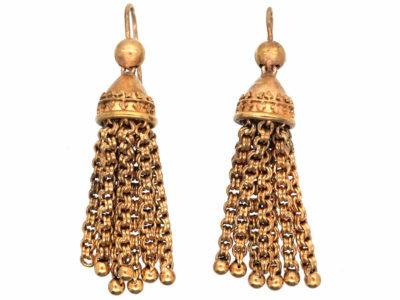 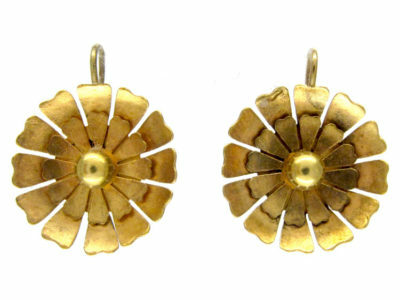 The links are interlocked safety pin style interspersed with round links. 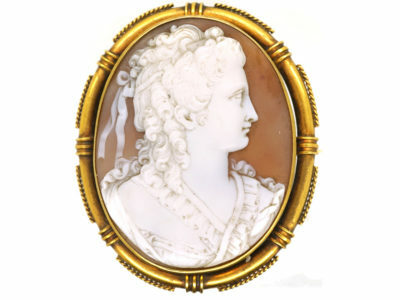 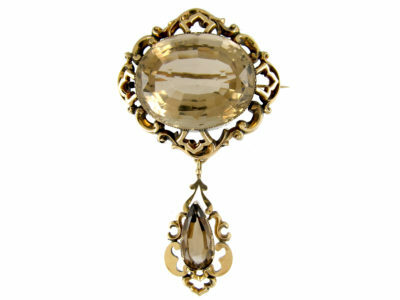 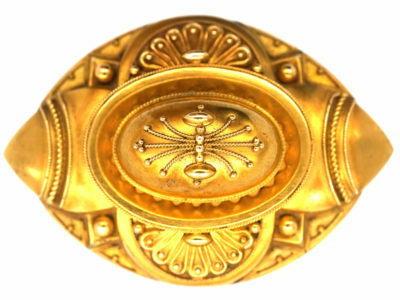 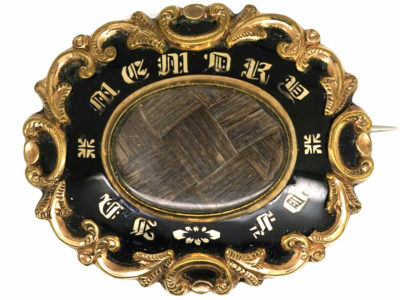 It was made circa 1890-1900.